Please make this. 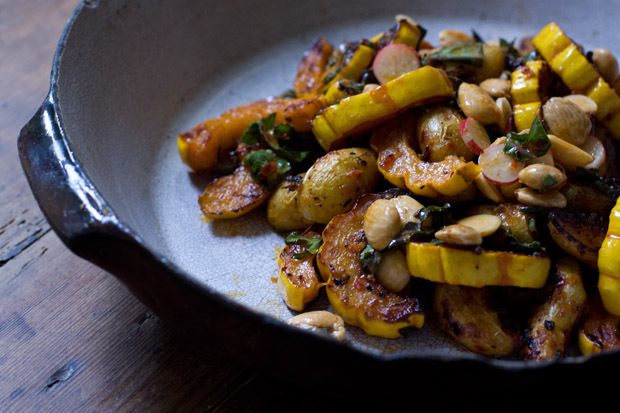 Pretty, scalloped-edged cross-cuts of the delicata squash, a few small potatoes, chopped kale, radishes, Marcona almonds - and a miso harissa oil. An all-time favorite. This one I love for its simplicity. In autumn, delicata and kale are nearly always around. 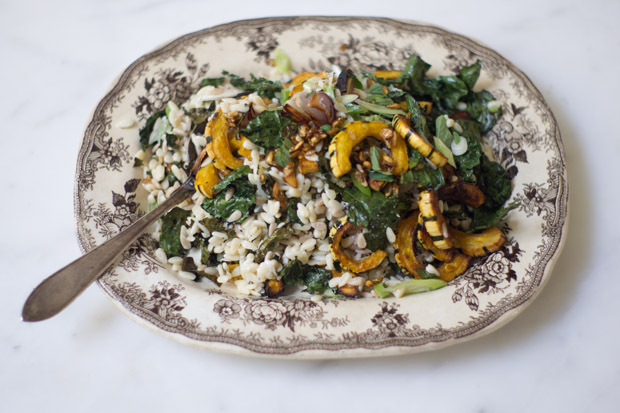 Chances are you have most of what you need to pull it together - roasted delicata squash and kale tossed with orzo pasta & salted yogurt dressing. This beauty was inspired by a recipe in Bryant Terry's cookbook, The Inspired Vegan. 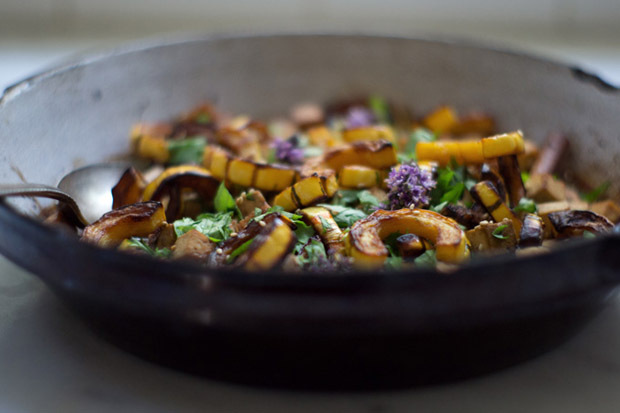 Roasted winter squash (and tofu) with a miso, maple, sesame, citrus sauce. Toasted pumpkin seeds are the tiny, edible trophies you get for carving pumpkins. There are a couple of tricks to roasting perfect pumpkin seeds.